Every season we introduce a collection of gold and silver metallic dresses in silks and jacquards fabrics, in seasonal tones. For summer we brought the softness of silk mesh organza and blended silk lurex for that beloved glitter effect. 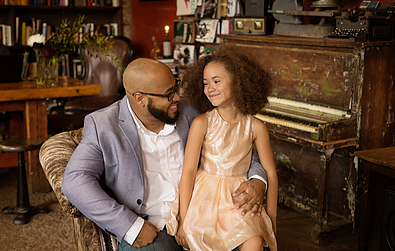 Creative Soul Photography produced a beautiful collection images featuring Alivia Simone dresses in metallic silks and jacquards for a Fathers Day blog titled African American fathers bonding with their daughters. 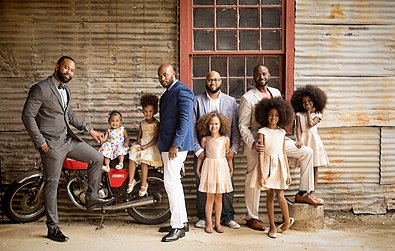 Girls decked out with their dads, wearing Alivia Simone pastel dresses for Fathers Day.